Today with the advent of digital photography we are not challenged by the mechanics of film photography. Gone are the days of loading film, what type of film, color neg, color transparency, or black and white. What iso, f/stop, shutter speed? We can just point our cameras, phones at a subject and shoot away. Not only still, but video, time-lapse, slo-mo, and panoramic. These features are readily available on my phone. The quality is improving with each generation and eating away at the camera market share. No longer do you have to lug you big camera around with you when you not only have a phone, but a very good quality camera. There are more images taken every day than ever imagined. So how do you differentiate your images from so many others? Drama and color! I am fascinated by color and strong diagonal lines. 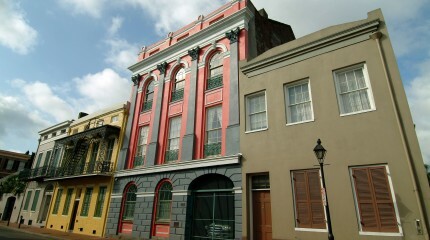 This image taken in New Orleans in the French Quarter is an example of dramatic lines and strong color. I used a wide angle lens to get as much of the building in view, and tilted the camera backwards to create the exaggerated angle of the building. 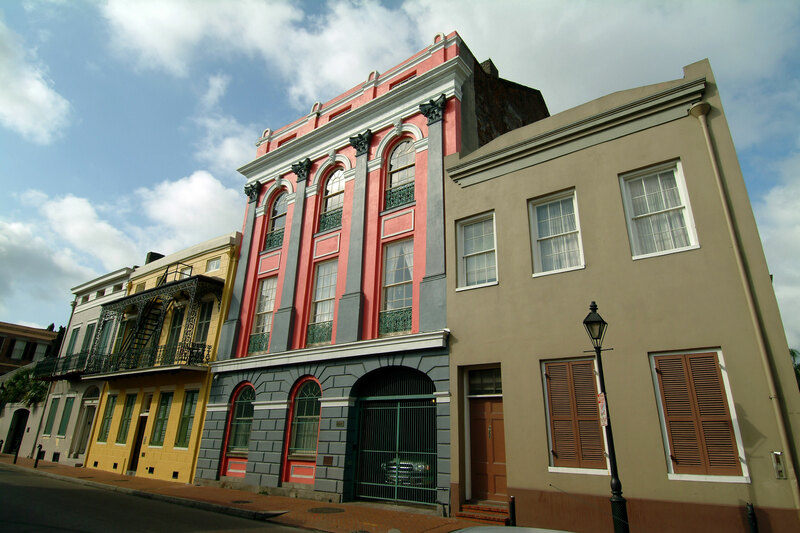 You do not have to go far in the French Quarter to see brightly painted buildings. Remember to look for interesting sky’s with clouds, the sky before and after a rainstorm are usually very spectacular. Photograph from many different angles move around your subject, assume you are in the wrong place, use foreground objects to draw ones eye into the photograph, look for reflections, get closer fill the frame and edit you photographs. Do not show all of you images, edit. Only show your best. Keep your eyes open to interesting subjects and light. Early mornings and later in the afternoon give you long dramatic shadows, creating a 3 dimensional subject. Light and shadow make photography interesting.